Are you an employer running a defined contribution scheme? It may be that you have continued your defined contribution scheme, but extended the membership to include all employees, possibly considering different levels of contribution for different grades of employee. However if you are a few years into running a workplace pension, it may be time to review the structure. The Trust based structure used for a Defined Contribution arrangement is not ideal. The employer still carries a high level of cost and administrative involvement and responsibility. Nicholls Stevens are currently carrying out reviews for existing and new clients. In some cases it has become apparent that it makes sense for the employer to move from an occupational pension scheme structure to a Group Personal Pension environment because this can release the employer form a great deal of cost and responsibility. Are you a member of a defined contribution scheme? If you are a member of an employer sponsored defined contribution scheme or being asked to join such a scheme, you may need to seek advice from a financial adviser, Nicholls Stevens are well placed to give this advice because we have been running pension schemes for many years and dealing with the needs of members of these schemes. The questions which often arise, are whether it is sensible to join an employer sponsored scheme and if so should you pay extra contributions and which fund you should choose. Whether to join a workplace pension depends upon personal circumstances. 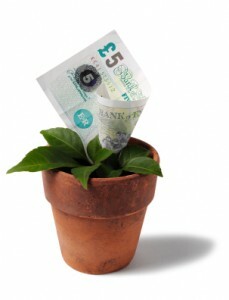 In many cases as the employer is making a contribution if you can afford the minimum contribution it is worth joining. The employer is contributing to your retirement savings scheme. If you do not take up this offer , it is equivalent to giving up a portion of your salary. The choice of funds is more complex and depends upon your attitude to risk. If you make no choice your contributions will be paid into a default fund. You may see this as ‘an easy way out’ However, there will still be some risk associated with the default fund and it is important that you understand this. Making the right choices at age 30, 40 or 50 can make all the difference to the outcome at retirement age. We meet many clients who have a large number of pension schemes, defined contribution and defined benefit and they wish to consolidate schemes. This is not always a good idea, you need an expert to make a full comparison of charges, fund choice, administration and penalties. Nicholls Stevens carry out a great deal of this type of work so we are well placed to give you this advice.